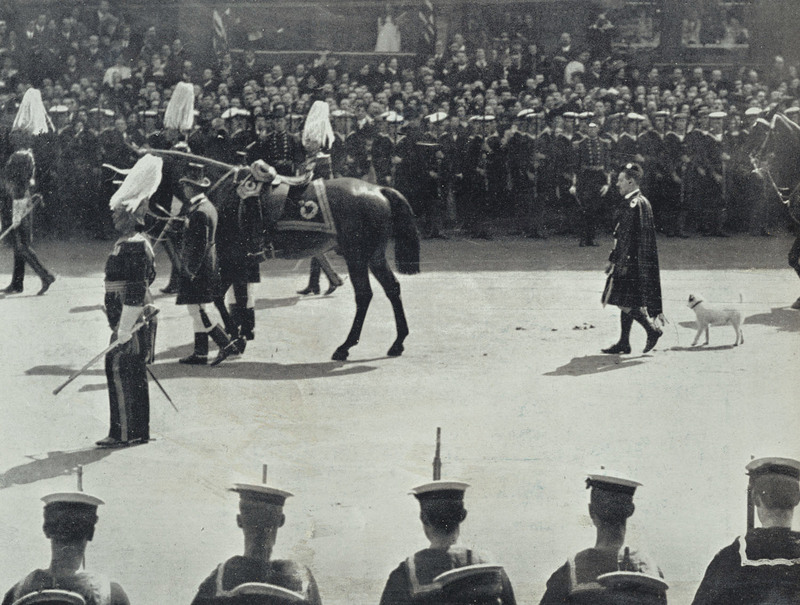 Photomechanical reproduction of a photograph of the funeral procession of King Edward VII in Whitehall, London. The view is from behind a row of sailors lining the side of the road. In the middle ground walks the funeral procession with the King's charger follwed by Caesar, the King's favourite dog. In the background stand more sailors and crowds of mourners.